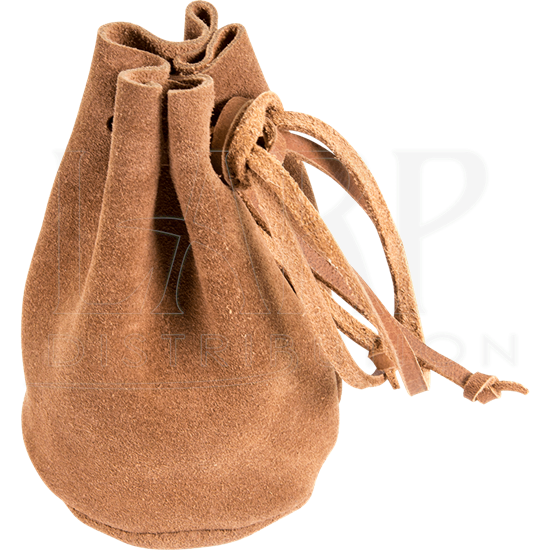 The Brown Leather Drawstring Pouch is an essential for all kinds of medieval and fantasy characters. This versatile suede leather pouch can hold coins, keys, and other small objects for adventurers, nobles, and merchants alike. The pouch has a cylindrical structure and is made of brown suede leather. Secure it shut by pulling its leather drawstring cord tight. Worn on a belt or placed into a larger bag to help keep things tidy, this suede medieval coin pouch is a must-have no matter what your setting or style.